Dr. Aull is currently the founder and director of Head To Toe Wellness and Research, based in Monroe, GA. Previously, he was on the faculty at the University of Georgia and worked with Athens Primary Care where he facilitated research studies and counseled diabetic patients. Dr. Aull was also a pharmacotherapy specialist for surgical services at Shands Hospital at the University of Florida. In addition to his professional career, Dr. Aull has many personal accomplishments including: licensed pilot, licensed scuba diver, and others. He is also dedicated to exercise and fitness. In high school he played football and ran track. In college, he earned a black belt in Tae Kwon Do. Beginning in 1997, Larry began running half-marathons. He ran his first marathon in 1998. He has also competed in triathlons. Dr. Bahrke obtained his bachelor’s degree in physical education from the University of Wisconsin—La Crosse, and a master’s degree in exercise physiology and a doctorate in sport psychology from the University of Wisconsin—Madison. Dr. Bahrke has been an assistant professor at the University of Kansas, director of research for the US Army Physical Fitness School, fitness area coordinator at the University of Wisconsin, and project director for a National Institute on Drug Abuse-funded anabolic steroid research grant in the School of Public Health, Division of Epidemiology and Biostatistics, at the University of Illinois in Chicago. This research project was designed to investigate the use of performance-enhancing substances in the Chicago area and is one of the largest research projects funded by the NIDA. 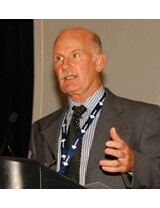 Dr. Bahrke has authored or co-authored more than 90 scientific publications and has made presentations at numerous scientific meetings, including the International Conference on the Abuse and Trafficking of Anabolic Steroids, sponsored by the US Drug Enforcement Administration; the American Psychological Association; and the American Psychiatric Association. He is an associate editor for Substance Use and Misuse and an ad hoc reviewer for over two dozen other scientific journals. 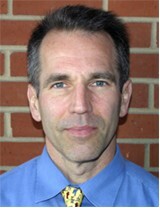 He is also co-editor of the text Performance-Enhancing Substances in Sport and Exercise (Human Kinetics 2002). Until 2009, Dr. Bahrke was an acquisition editor in the Scientific, Technical, and Medical Division of Human Kinetics Publishing. As such, he was responsible for acquiring new titles and new editions of successful titles in the areas of exercise physiology, sport nutrition, and health and fitness instruction, among many others. He is currently a consultant with Health, Fitness, and Wellness, Ellison Bay, WI, USA. Dr. Bahrke maintains his fitness by jogging during the summer, cross-country skiing during the winter, and weight-training year-round. John has over 20 years experience in creative services. Over the years, he's worked in a variety of mediums including print, radio, television and, most recently, evolving platforms like mobile software and user interface design. John is a technology enthusiast and gadget guy with a special interest in Apple products and related technologies. He always has his finger on the pulse of the industry and employs a variety of electronic media to stay on top of the latest tech news or design trends. He is astute when it comes to assessing the rapidly-changing mobile technology and social media landscape. John and his business partner Chris developed a variety of mobile apps, including Versions 1.0 and 2.0 of the AthleteInMe.com® app: "Exercise Calorie Converter." Currently, John is the Senior Art Director at Pinch A Penny. When he’s not waiting in line for the next iPhone, you can probably find John at the hockey rink. He enjoys ice hockey, racquetball, weight training and occasionally mountain biking to stay in shape. Joe obtained his undergraduate degree from Princeton, and his MBA from the University of Florida. Since then, Joe has led the sales and marketing efforts for a variety of health information products in several companies, including both start-ups and large corporations. These have included: CareNotes (patient information handouts currently provided to more than 1500 hospitals), Clinical Pharmacology (a leading source of drug information for health care professionals), InfoRetriever (an evidence-based resource for primary care physicians), and Person On Call (an innovative software solution for hospital call lists). In addition to developing and leading product sales and marketing efforts, Joe has also provided strategic intelligence for these companies. He has a keen ability to focus on both the specific details of a business opportunity and the big picture simultaneously. Joe is committed to staying fit. In high school, he competed in 3 varsity sports (football, basketball, baseball) and played baseball in college. Currently, he exercises regularly, serving as a good role model for his daughter who is developing into an outstanding high-school track and field athlete. Dr. Cooper-DeHoff is currently an associate professor in the Department of Pharmacotherapy and Translational Research, and, an associate director in the Center for Pharmacogenomics at the University of Florida in Gainesville. She has a distinguished academic career and was the first non-physician to be awarded Fellow status in the American College of Cardiology. Her research interests include diabetes, hypertension and metabolic syndrome. Dr. Cooper-DeHoff has published over 140 scientific papers, mostly in the area of antihypertensive drug therapy. Her paper on cardiovascular outcomes in diabetic patients, published in JAMA in 2010, was a significant contribution to current treatment guidelines for hypertension. In addition to her academic accomplishments, Dr. Cooper-DeHoff has attained 2nd-degree black belt status in Tae Kwon Do, and has completed a marathon. 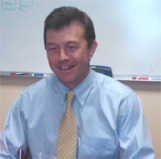 Dr. Hatton is currently a clinical professor at the University of Florida College of Pharmacy in Gainesville, FL. He is also President and CEO of Professional Data Health, Inc., a Florida-based corporation. Previously, he was Director of Drug Information and Pharmacy Resource Center at Shands Hospital. 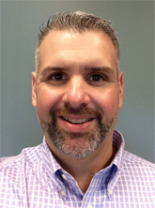 He is nationally recognized in the field drug information and medical informatics and has conducted several innovative research studies comparing various commercial drug information databases. In his career, he has authored or co-authored over 80 scientific papers and is on the editorial review board for the Annals of Pharmacotherapy. His research interests include drug database design and analysis, medication safety and appropriate use of medications, and the evaluation of pharmacotherapy technology. 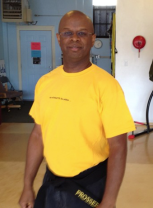 In addition to his distinguished academic career, Dr. Hatton is dedicated to fitness. In high school, he was a track athlete, competing in the 100, 200, and 400, and running the low and high hurdles. In his adult life, he was an avid distance runner. To this day, he exercises religiously. Dr. Prosser is currently an editor/team leader for Clinical Pharmacology, an online drug reference for health care professionals published by Elsevier. His focus is antibacterial agents, antiviral drugs, and toxicology. Tony earned his PharmD degree at the University of Florida in Gainesville and obtained additional training in clinical toxicology. Tony is dedicated to health and fitness. He has attained 2nd-degree black belt rank in Kenpo karate. And, he is a certified Zumba instructor. Tony lives in Albuquerque, NM. When he's not working, he likes to travel the world, and ride his BMW motorcycle. Dr. Witherspoon is currently an assistant professor in the Department of Physical Education and Exercise Science at the University of South Florida in Tampa and the Director of the Active Gaming Research Labs where she coordinates all active gaming research projects at USF. A pioneer in the field of active technology in physical education, Dr. Witherspoon’s research focuses on understanding the effects that active gaming has on participants and on the application of these activities to encourage and improve lifelong physical activity behaviors. Currently, she is also a consultant for GOPHER Sports where she conducts workshops and presents webinars. Dr. Witherspoon has worked with the National Association for Sport and Physical Education (NASPE) regarding technology in physical education. She is an established presenter at the international and national levels as well as author of multiple print and video publications. 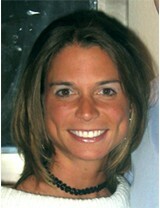 Lisa achieved All American honors as a collegiate basketball player and is a Hall of Fame inductee at Virginia Tech. She is passionate about promoting healthy, physically active lifestyles and is a role model for others. 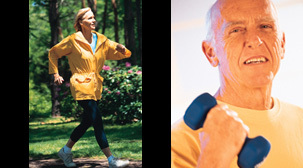 Despite her busy schedule, she sets aside time every day for exercise.